Glasses draw attention to your face, they can make a big difference to the way you look. That is why it is important to wear a pair that really suits you, at Opticks you will receive an unhurried experience whilst choosing the right pair to make sure you look great in your new spectacles. It is very important to protect your vision in sunlight. Your eyes can suffer against glare but more importantly ultraviolet rays. Over exposure to UV light may lead to cataracts and prematurely age your retina, this causes reduced vision in later life. This can be particularly vulnerable to children as their eyes are not fully developed. Sunglasses are also very much a fashion item, which is why we stock a wide choice of stunning styles, including designer ranges and speciality sports brands such as Oakley and Wiley X. 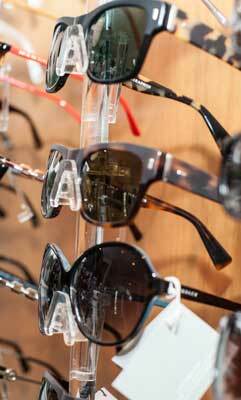 No matter what your requirements, Opticks Opticians have great looking sunglasses that are just right for you. These are lenses that darken outside in sunlight and fade back to clear when indoors. 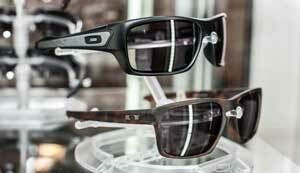 Photochromic lenses enable you to enjoy more comfortable vision, ideal if you are sensitive to bright light. They also offer the convenience of not having to switch between your glasses and sunglasses. Photochromic lenses are available in single vision, varifocal and bifocal options and will fit most frames. The latest and most advanced photochromic technology, these lenses are designed to quickly adapt from clear when indoors to fully dark in brightest sun, offering a distinct advantage over clear lenses. Transitions Signature lenses continuously adapt to changing light conditions so they’re always exactly the shade you need them to be. Like all our photochromic lenses, Transitions Signature offer protection against damaging UV rays and block 100% of UVA and UVB radiation. The ultimate photochromic polarised lens with drivers in mind. Drivewear lenses are capable of sensing and reacting to varying light conditions both outside and behind the windshield of a car. From bright sunlight accompanied by intense, blinding glare, to overcast weather conditions they provide you with the ideal colour and clarity for driving with maximum comfort.